We’ve all done it, watched a movie and thought, “How do they think this stuff up?” and, “Do they expect us to believe this?” Yes, “they” do, because movies depend on the suspension of disbelief for their magic. Musicals, horror, and romantic comedies are all fueled by the high octane of fantasy. Then there are movies crafted from labyrinthine thinking that’s patently impossible, yet draws us in so completely that we stop questioning the bizarre scenario we’ve entered and simply go with it. You won’t find science fiction here, since it isn’t doing its job if it isn’t wildly inconceivable. And you won’t find movies with the kind of plot twists that are so absurd you will want to, and may, yell at the screen. After all, Best Movies By Farr is not focused on losers- hence the name. In this look at implausible movies, we pay tribute to far-fetched plots that engage the viewer and pay off by delivering a new and unexpected view of human experience. So, if some Grade A escapism is sounding good to you, sit back and expect to have your reality altered. Why it’s Ludicrous: After witnessing the murder of her opera singer aunt, Alice Alquist, at their London home, Paula Alquist (Ingrid Bergman), then a child, is sent to Italy to study with the same voice teacher who trained her aunt. Unbeknownst to Paula, the murderer left some unfinished business at the house and the jewels that were the object of the crime were abandoned when Paula interrupted it. In Italy, Paula sings, grows up, meets and marries Gregory Anton (Charles Boyer) and they return to London, where Anton pressures Paula to live in the house where her aunt’s murder took place. How sensitive! Here is where things begin to get odder by the moment. Paula starts becoming forgetful, loses things, and soon, is a full-blown kleptomaniac. Why this should be happening is unclear, especially to Paula. Before long, she is too nervous to go out in public. At night, she hears footsteps above her, and the gaslights that illuminate the house flicker for no reason. Into the insanity walks Scotland Yard detective Brian Cameron (Joseph Cotten), who happens to witness an instance of Paula’s public hysteria, happens to be present at one of the moments she appears to have lost her memory, and happens to be a lifelong devotee of Aunt Alice’s singing. And of course, Cameron also happens to be a crack investigator, who smells a very big rat. Why It Works: Originally, “Gaslight” was both a stage play and an earlier film adaptation, prior to George Cukor’s 1944 remake for MGM. 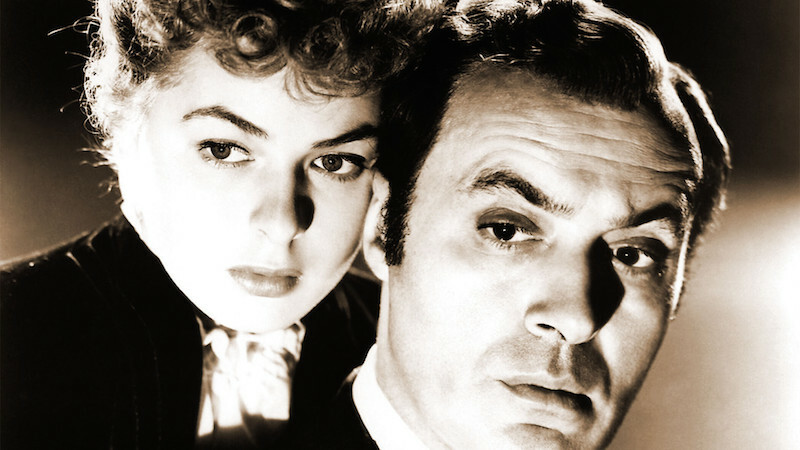 But by most assessments, it is the Bergman-Boyer film that introduced the concept of “gaslighting” to the popular consciousness. Indeed, the movie not only gave us the phrase “I’m being gaslighted,” meaning a victim of mental abuse that drives one to believe, “I’m the crazy one,” it also brought the syndrome into the vocabulary of popular psychology. As a movie, what holds it all together is Bergman herself. The complete believability of her shift from traumatized to trusting to fragile, and ultimately, vengeful, is the firm foundation underneath the house on Thornton Square with the troubled history. As a fun aside, catch an eighteen-year-old Angela Lansbury in her first film role, as the disdainful parlor maid, Nancy. “Gaslight” is an enduringly mesmerizing psychological thriller. 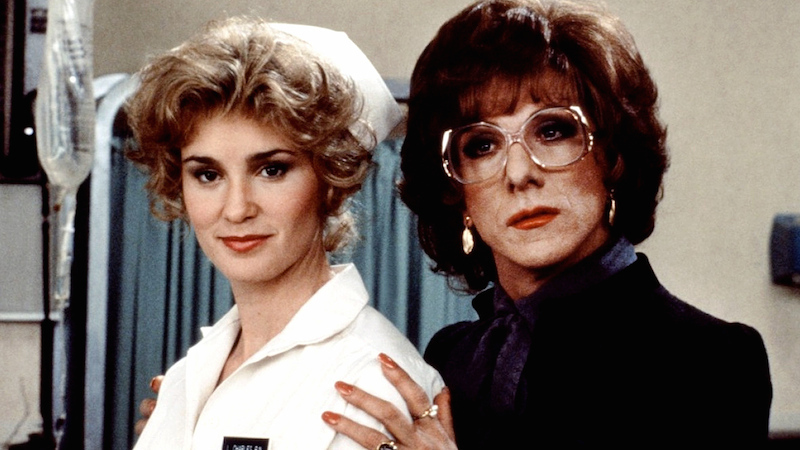 Why It’s Ludicrous: Out-of-work actor Michael Dorsey (Dustin Hoffman) can’t get arrested until, to prove to his agent that he is hirable, Dorsey auditions for the plum role of Emily Kimberley, hospital administrator on hit daytime soap “Southwest General,” landing the role as a woman, fabricated drag persona Dorothy Michaels. As Dorothy, Michael creates a character who stands up to men, goes off script to issue thrilling, scolding, feminist monologues, and, in a further complication, falls in love with his female co-star, Julie (Jessica Lange). To recap, successful actor Dustin Hoffman plays the part of a failed actor who is playing a successful actress who is playing the part of a strong woman, who makes the men around her look weak. Why it Works: Hoffman, for one. As Michael-turned-Dorothy, an agile Hoffman makes the gender switch not only believable, but necessary, and a challenge that any actor would grab. Also key to the success of this enduringly satisfying farce are the two women that play opposite Michael/Dorothy. Jessica Lange’s understated performance as Dorothy’s girlfriend (as in "girl friend"), who accepts Dorothy unconditionally, is simply charming, and Teri Garr as Sandy, Michael’s real girlfriend, hits the right note of suspicion. But the true grounding wire is Michael’s roommate, Jeff (Bill Murray), also an actor, who alone knows of Michael’s deception. Jeff says what the audience is thinking, only much more hilariously. It’s Bill Murray! Thank goodness he speaks for us. Why it’s Ludicrous: Based loosely on real events, which doesn’t lessen the outrageousness of the premise, “Fitzcarraldo” follows the quest by failed Irish businessman and ardent fan of Italian tenor Enrico Caruso, Brian Sweeney “Fitzcarraldo” Fitzgerald (Klaus Kinski), to build a European-style opera house in a remote Peruvian town by capitalizing on the local rubber trade. Apparently, there is only one problem with this scheme (only one? ), and that is the scarcity of available rubber-producing plots. Fitzcarraldo’s solution is to take a steamer ship, named for his girlfriend and financial backer, local brothel owner Molly (Claudia Cardinale), down a tributary of the Amazon in order to claim the last parcel of land that might yield enough rubber to fund the opera house. 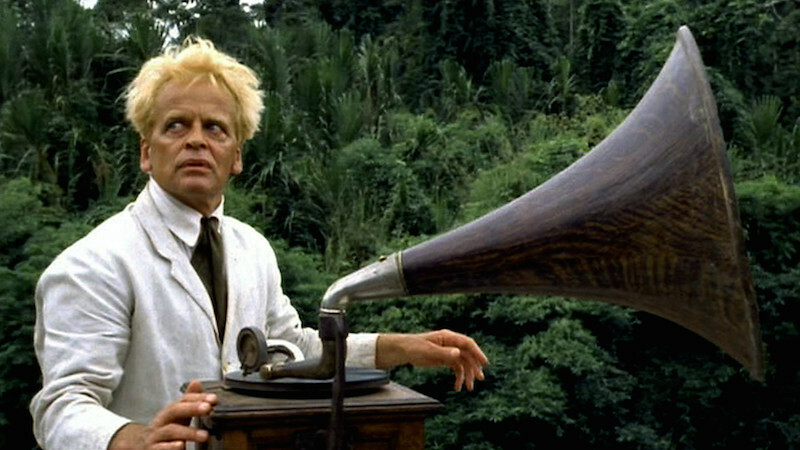 And here, believe it or not, is where “Fitzcarraldo” truly becomes ludicrous. To reach his personal promised land, Fitzcarraldo decides to pull a three-story, 320-ton, steamer up and over a muddy forty-degree hill to the other side. Even allowing for scads of cheap local labor, the mission is utterly preposterous, and would be, even without the mud. Why it Works: Director Werner Herzog has a feel for madness that provides a sympathetic window into characters and visions that are beyond the comprehension of pretty much anyone. Why it really works is that, in a moment of life imitating art, the production moved a 320-ton steamship over a hill. Herzog focused on the engineering issues of moving the ship, for obvious reasons, and in doing so created a powerful document of the determination of human will. Still, for the effort, Herzog dubbed himself the “Conquistador of the Useless,” and the on-set tantrums by star and old friend Kinski nearly did them all in, including Kinski, when the catering chef offered helpfully to kill him. “Fitzcarraldo” is a feat within a feat, a madness within a madness, and one of the greatest and most visionary films ever made. Why it’s Ludicrous: This story of Bess (Emily Watson), a child-like, deeply religious Scottish wife whose husband, Jan (Stellan Skarsgård), is critically injured working on an oil rig, is not only the stuff of magical thinking, to many audiences it may be out-and-out unthinkable. Paralyzed, Jan asks Bess to do something that her religion and love for Jan would forbid, but which Jan believes will keep them close. Bess is horrified; Jan is insistent. Eventually, she does as he wishes and Bess, believing that she can “cure” Jan, takes the belief to the furthest edge of sanity. She then keeps right on going until her church rejects her and the town condemns her. Bess will not be stopped from practicing her idea of pure love, and will pay any price to restore Jan to health. And so, she becomes a martyr. Bess’s logic is as faulty as any captured on film, and Jan’s is none too sensible either. “Breaking the Waves” is the story of a very bad idea carried out by someone who doesn’t have the capacity to recognize its (major) flaws, but who does have the wherewithal to transmute misguidedness into a crusade for God. Why it Works: Bess is a pure soul, and in that purity of her heart, she reveals the baseness and corruption of society. In the same spirit, it is possible to view Jan’s request through the same lens of loving intent. 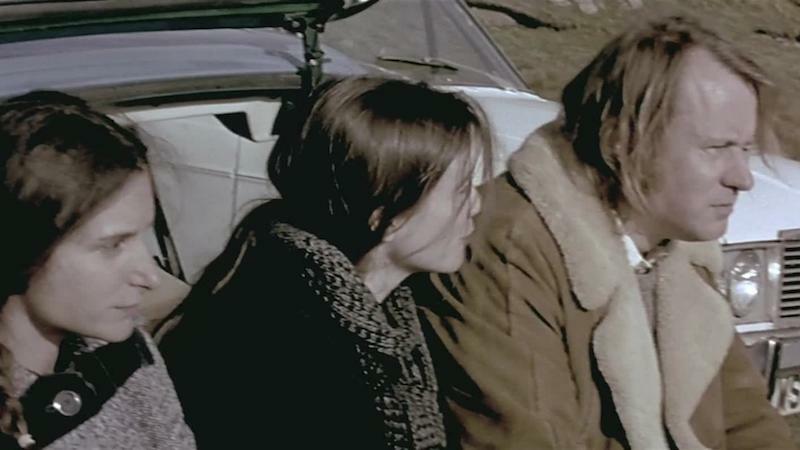 Bess, the film’s savant, stands against her own church, and whatever one thinks of the highly adult and gripping scenes in “Breaking the Waves,” the core theme of love first, approval second—or never—is a lesson worth reviewing. As Bess says, "You cannot love words. You cannot be in love with the Word. You can only love a human being." Why it’s Ludicrous: Where to begin? Okay, here goes: When unemployed puppeteer Craig Schwartz (John Cusack) gets a job as a file clerk, he discovers that within his office building there is a “half” floor, that lies between two full floors, and there he discovers behind a filing cabinet a secret door that serves as a portal into the mind of actor John Malkovich (John Malkovich). Craig’s co-worker Maxine (Catherine Keener) gets in on the discovery of the portal and the two charge the curious $200 for a ride inside the mind and body of John Malkovich. 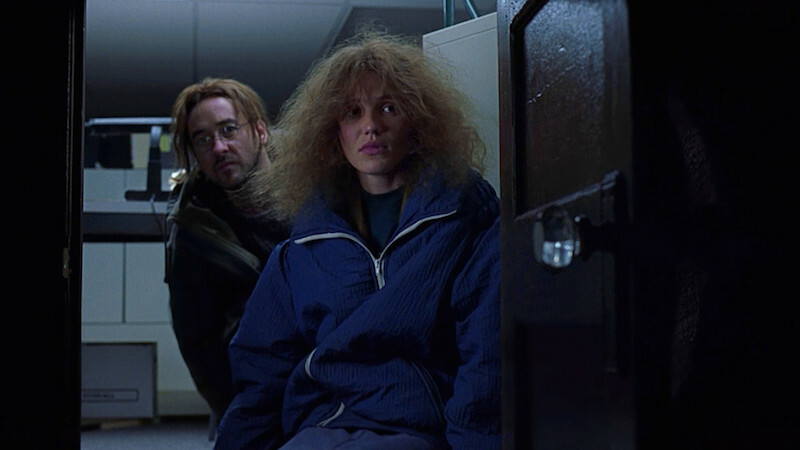 And then, let’s see, Craig’s girlfriend Lotte (Cameron Diaz) becomes obsessed with being Malkovich as a means of living out her transgender desires, and Craig ends up locking Lotte in a cage...and well, just trust us, this isn’t even as weird as it gets. 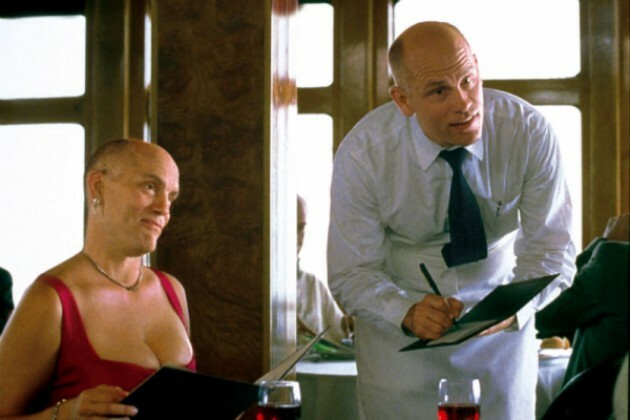 Why it Works: A script by Charlie Kaufman, direction by Spike Jonze, and the deadpan compliance of the real John Malkovich. “Being John Malkovich” stretches story into fantasy and from there into modern surrealism verging on the psychedelic, without the drugs. A special nod must be made to Cameron Diaz for valor in the field of acting without makeup. The deranged look created for Lotte personifies the beyond-belief vibe of the full movie. Nonetheless, and we really mean that, the originality inherent in every frame of “Being John Malkovich” never strays into gratuitous absurdity and never feels self-indulgent. Oh, and Hollywood bought it. "BJM" nabbed three Oscar nominations, all biggies: Best Director, Screenplay, and Supporting Actress for Keener. Seehe lowest common denominator is not always the people’s choice.